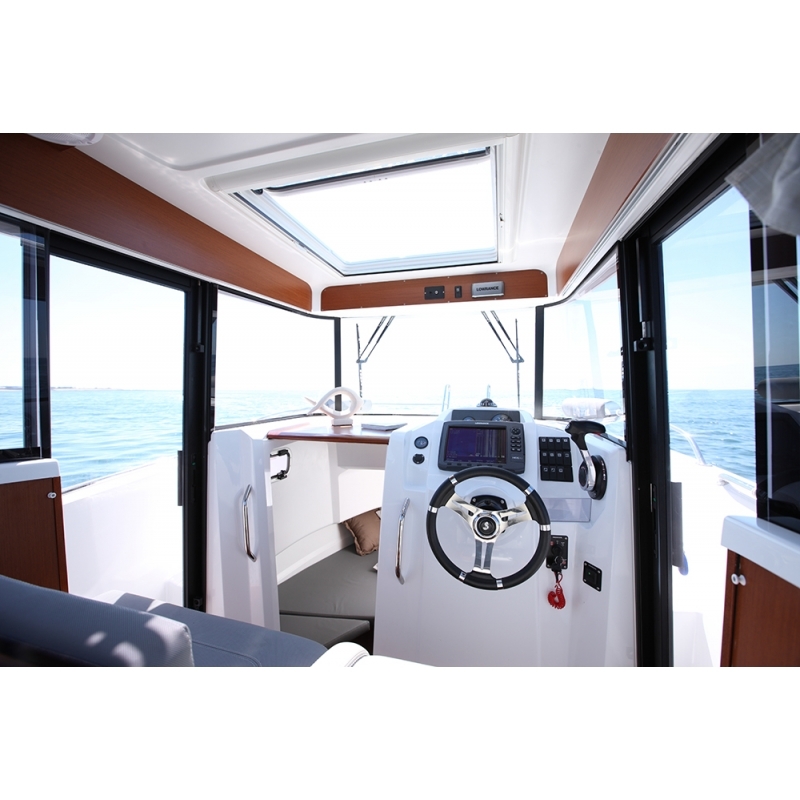 Inside, the Barracuda 7 favours comfort when cruising. 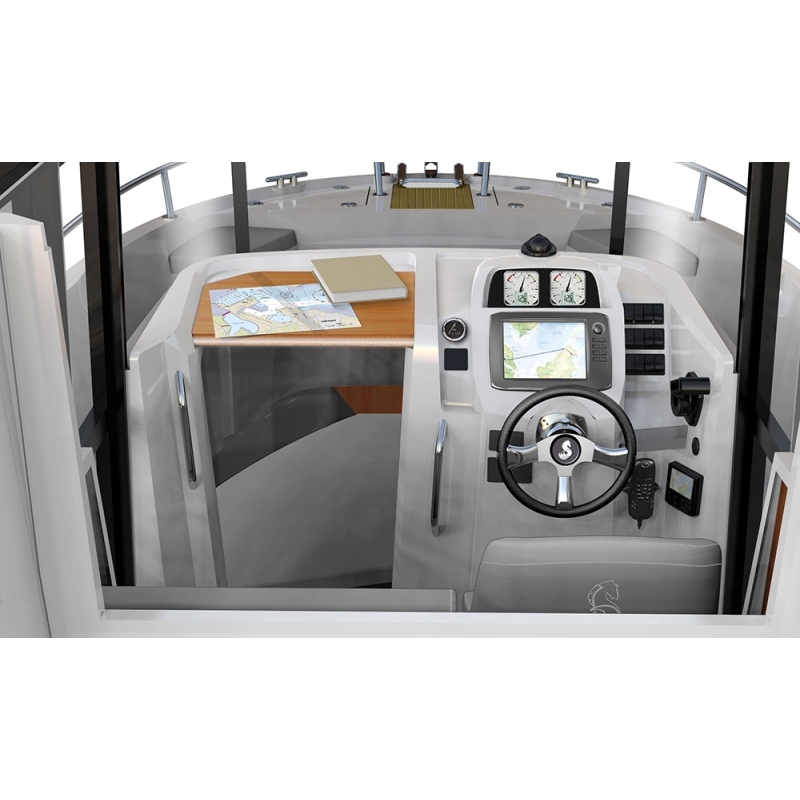 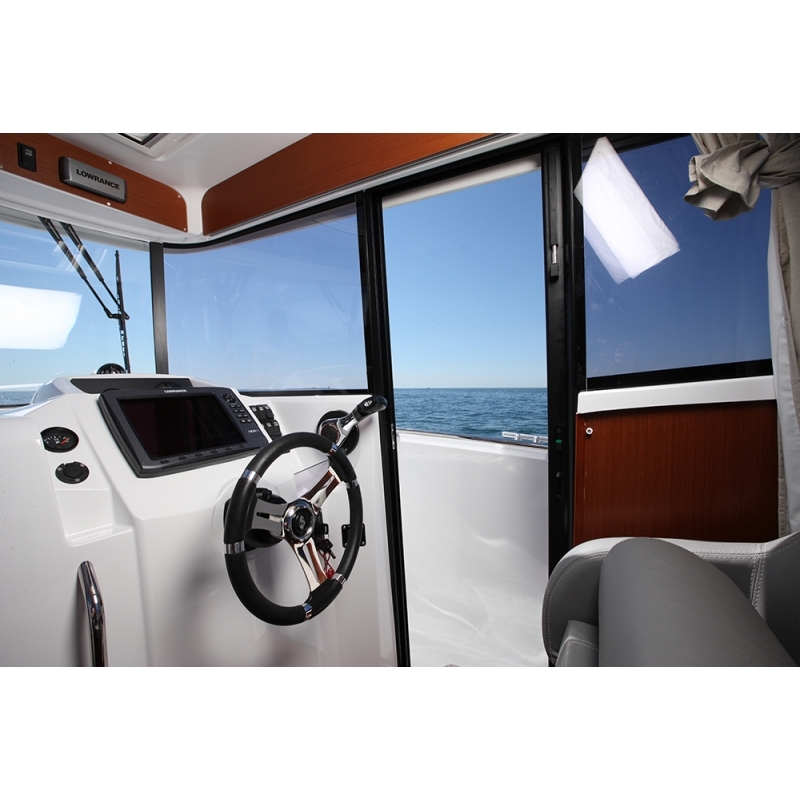 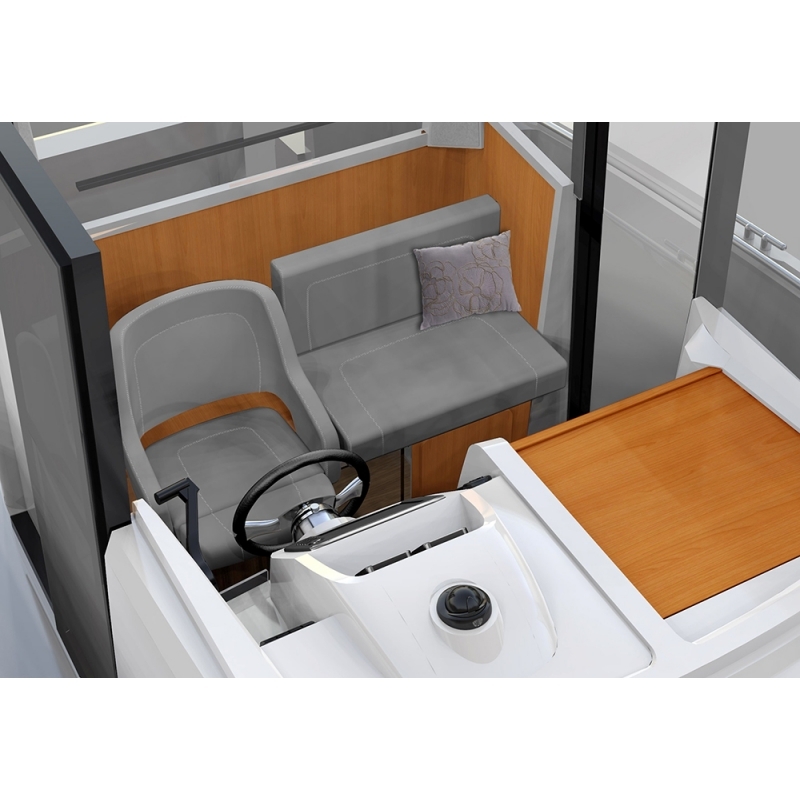 The two side doors on the wheelhouse ventilate the boat well and make movement on board easier. 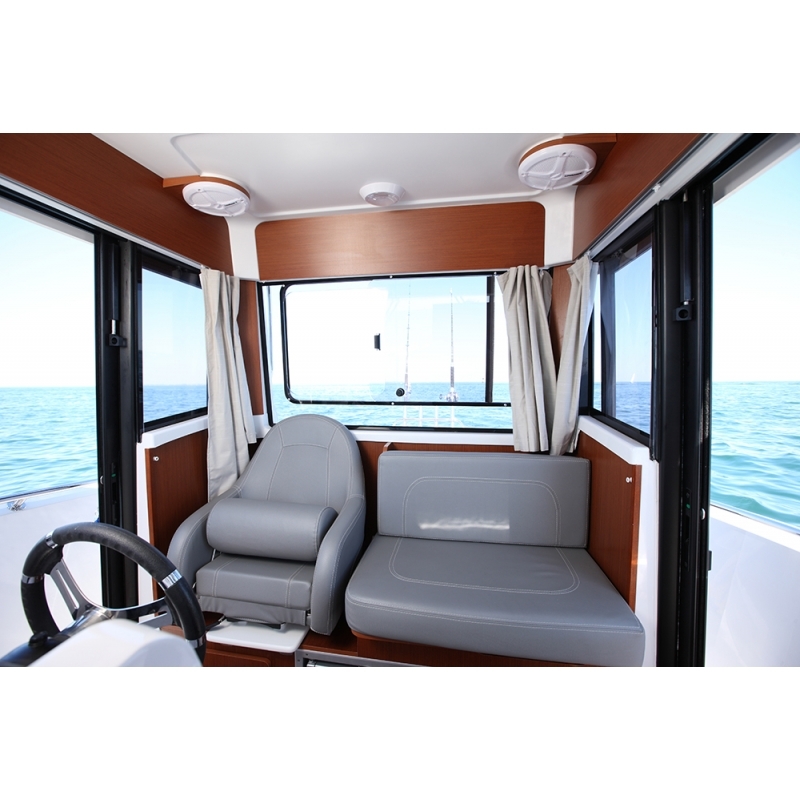 The driver’s bolster seat, a control panel ready to receive a full range of electronic equipment, and 360° visibility contribute to her safety and the pleasure of driving. 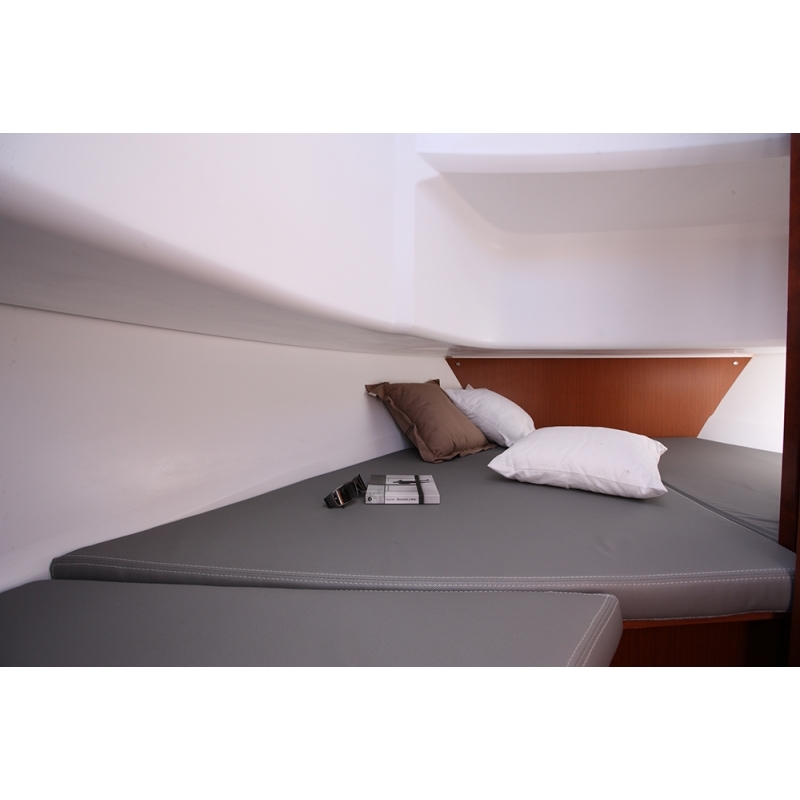 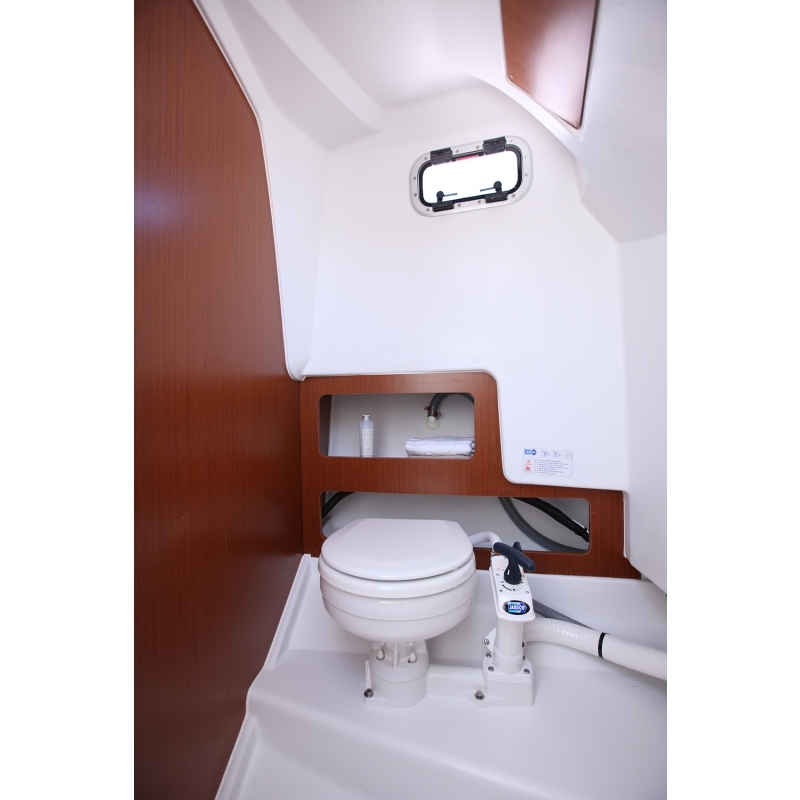 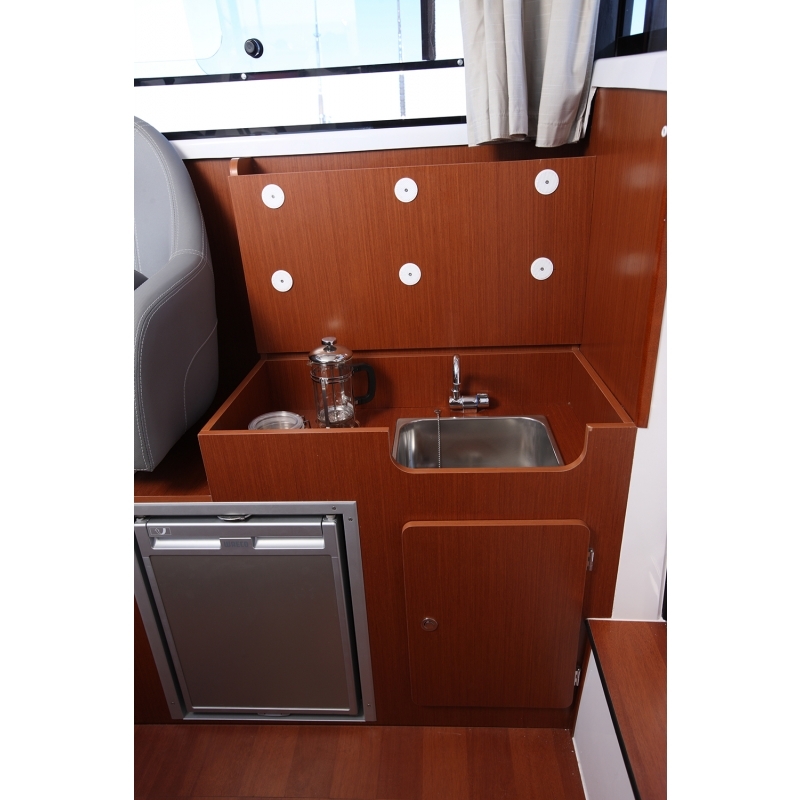 The small galley, double berth and independent heads reveal a level of accommodation unusual on this type of outboarder. 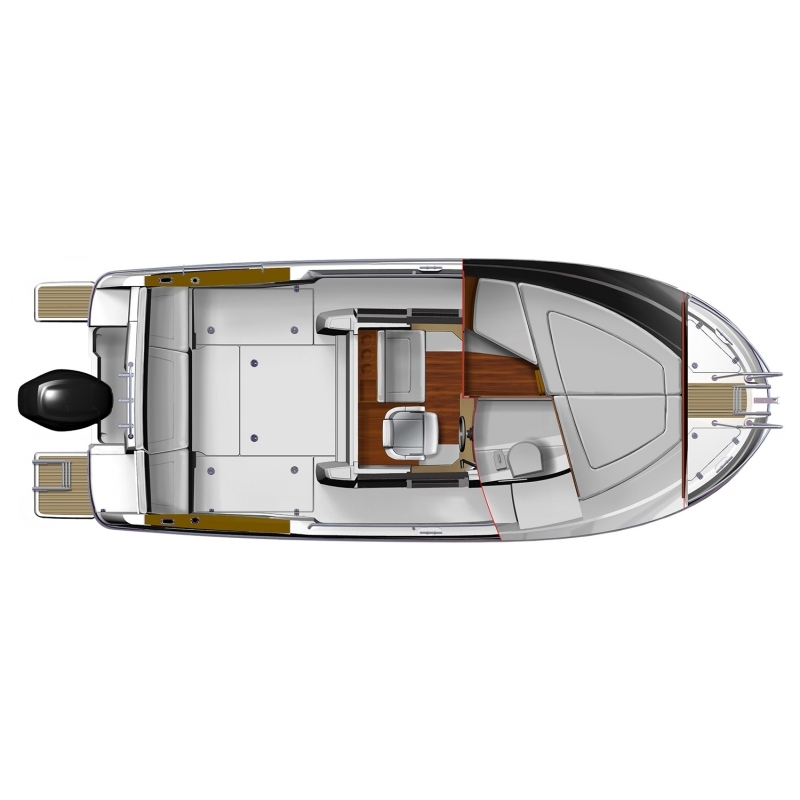 The mahogany woodwork matches the laminated parquet floor perfectly, as well as the soft tones of the upholstery, making the atmosphere warm and cosy. 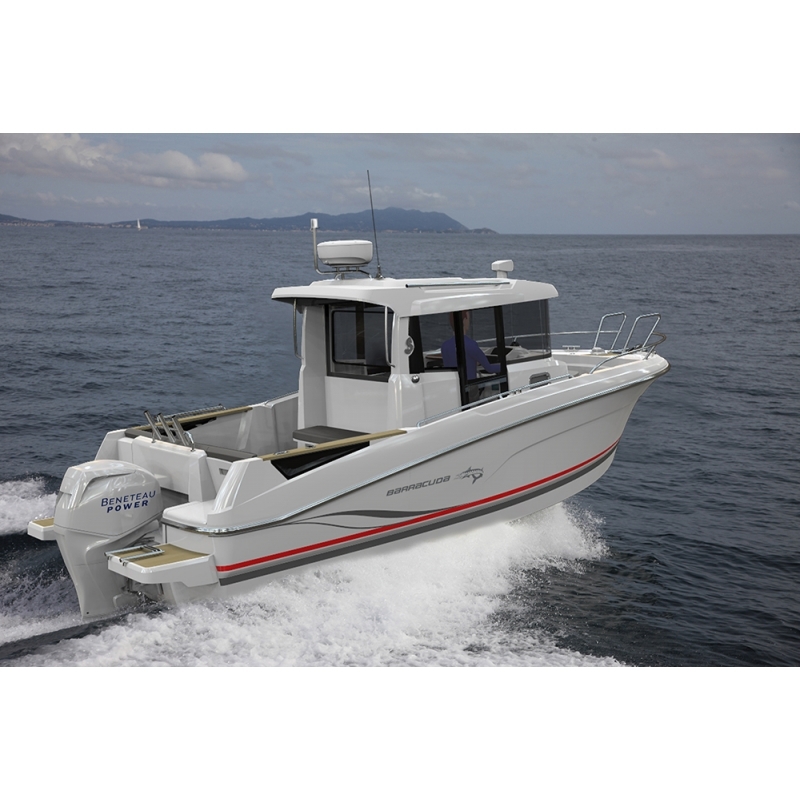 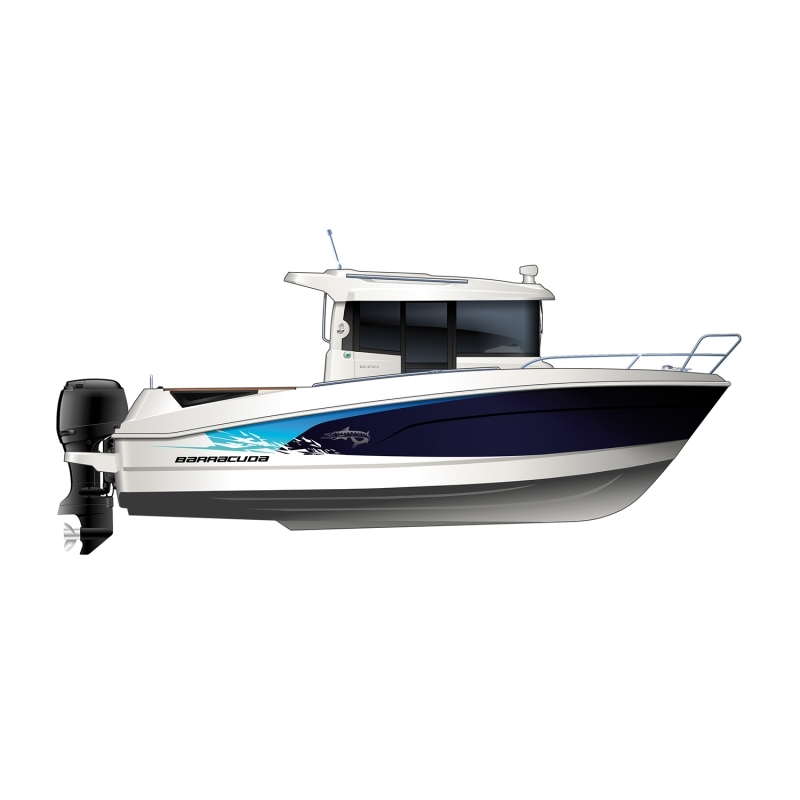 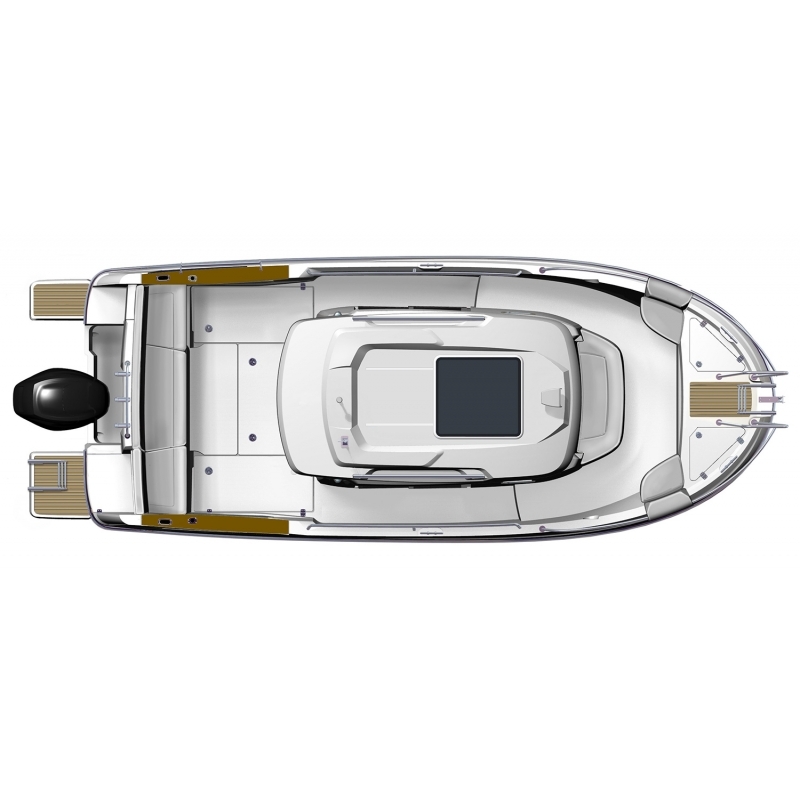 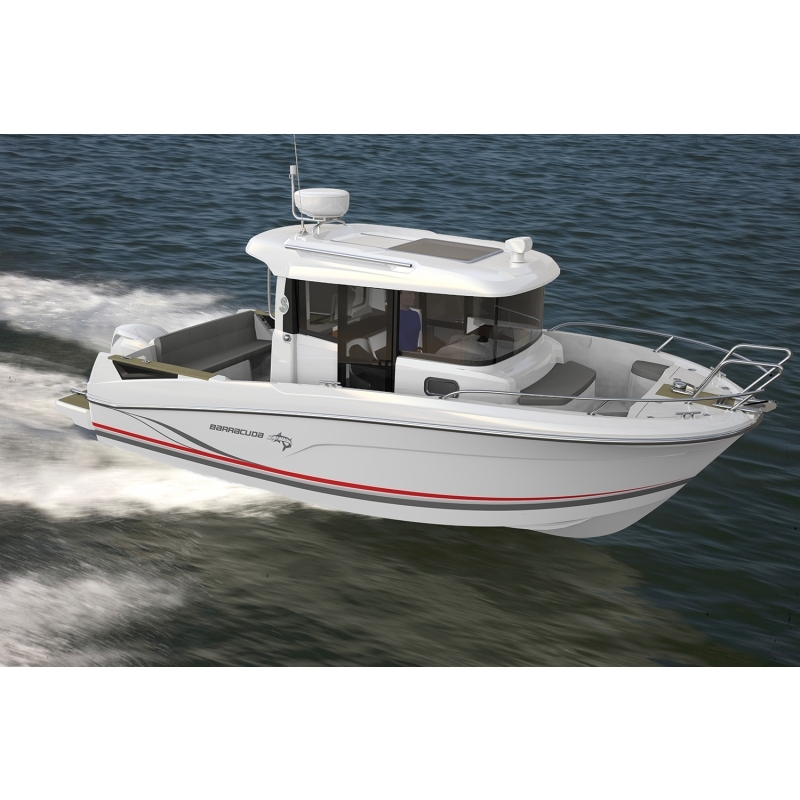 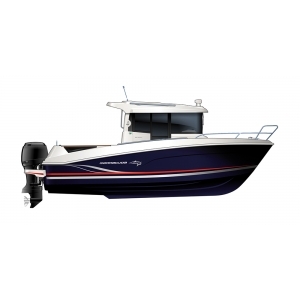 The Barracuda 6 is versatile, sporty and robust, with a deck plan optimized for fishing and lots of clever fittings. 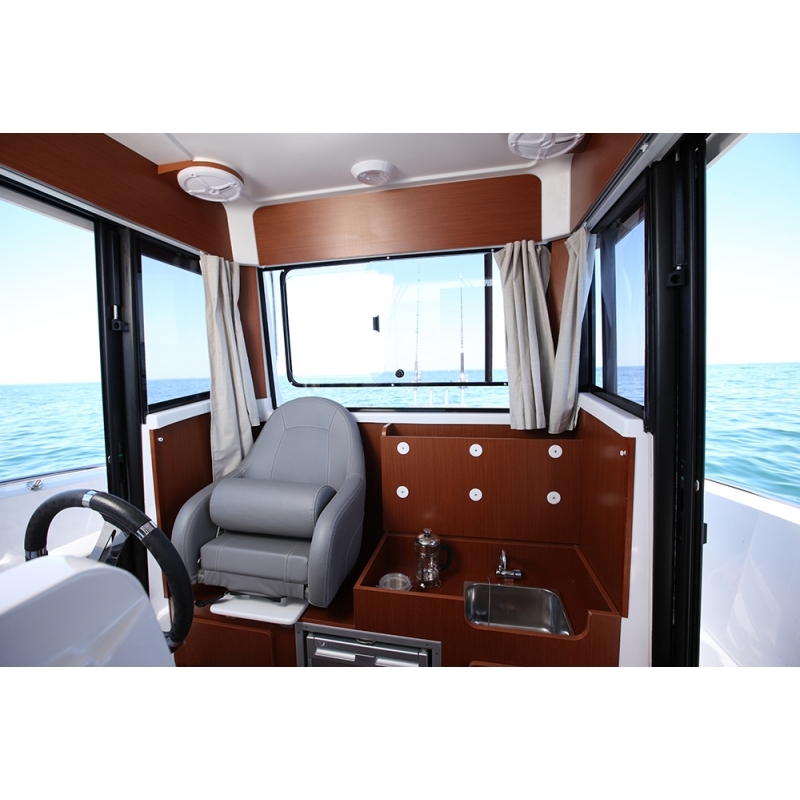 Benefitting from the experience acquired during the Barracuda Tour, it is perfect for fishing and coastal cruising.